Weight: 1.02 oz. 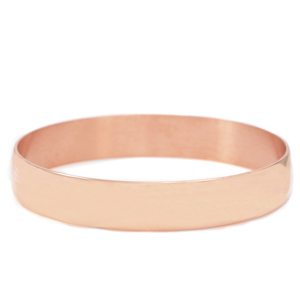 / 29 g.
This bangle bracelet is just rosy! Plated in gold, it can be engraved on the outside with 2 long lines of characters. 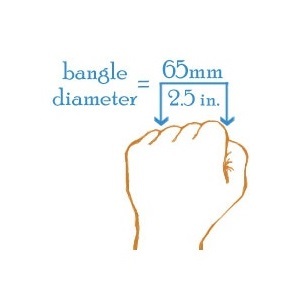 The wrist guide is a suggestion - the 2 5/8 inch width simply needs to fit over your knuckles. Up to 1 lines of 75 characters each, including spaces!